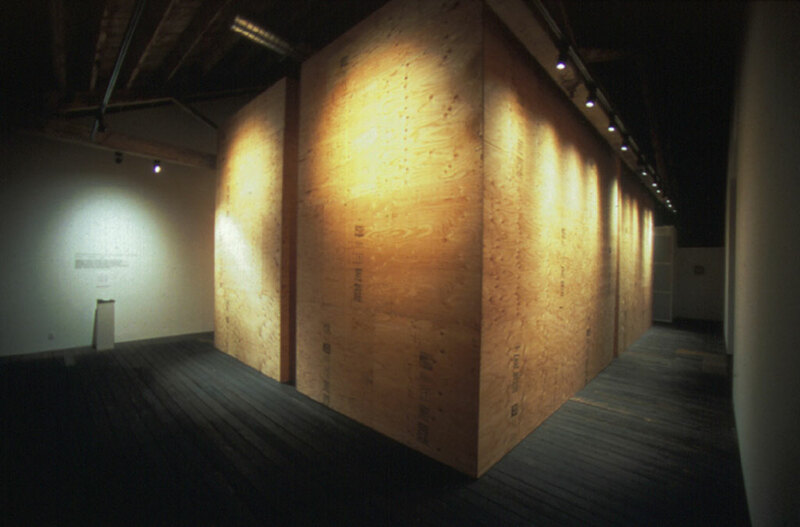 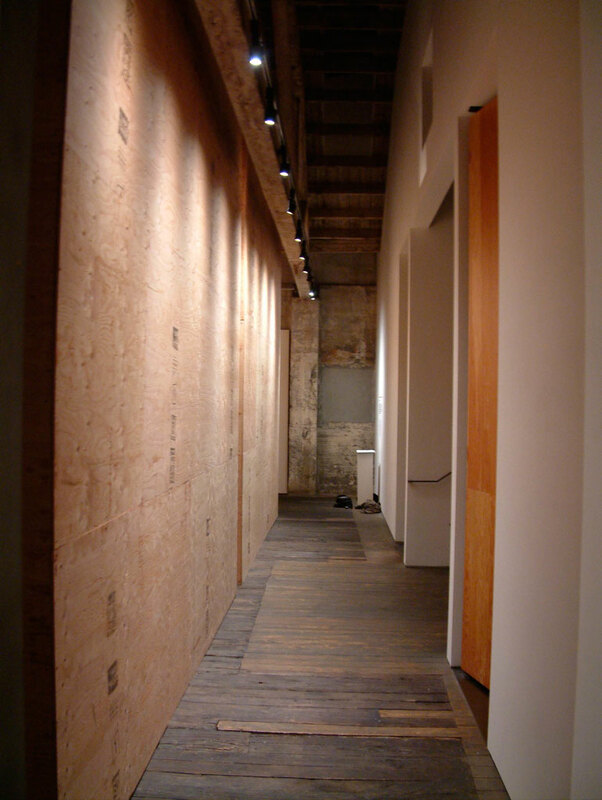 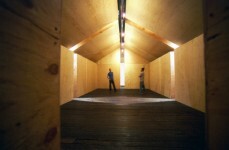 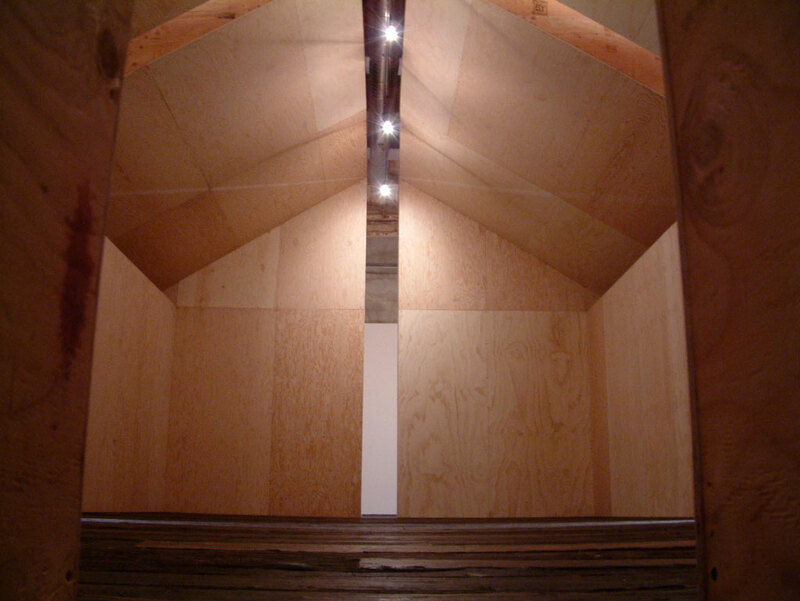 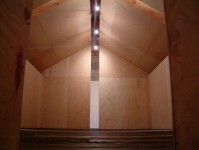 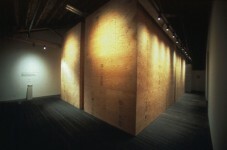 Installation constructed for Suyama Space. 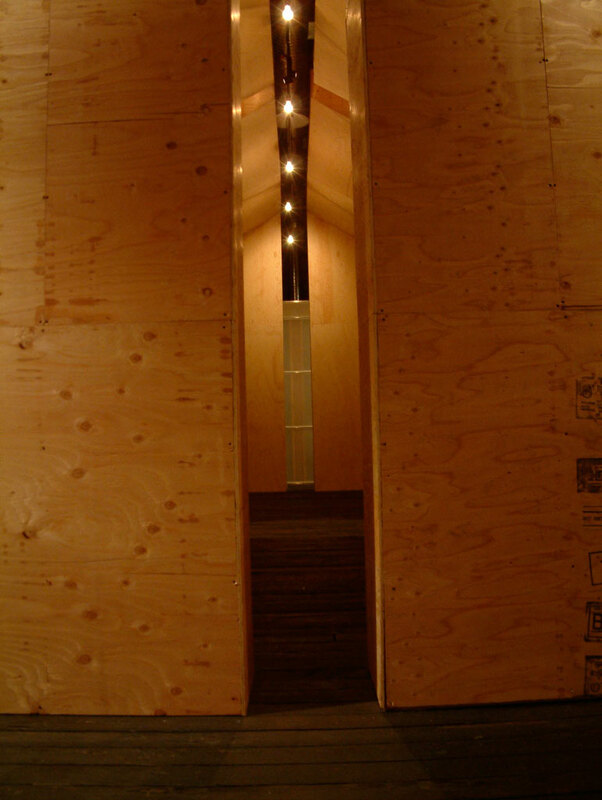 The structure took the form of a plywood cube extending up to the ceiling, divided into quadrants by four narrow vertical slits that led the viewer into the interior. 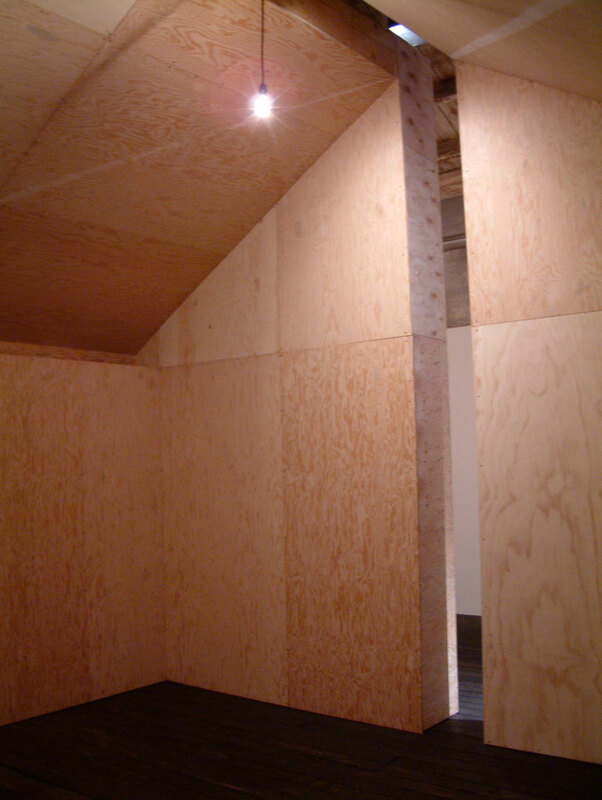 Once inside, the form of an imagined house, or rather, the void left by the house becomes apparent. 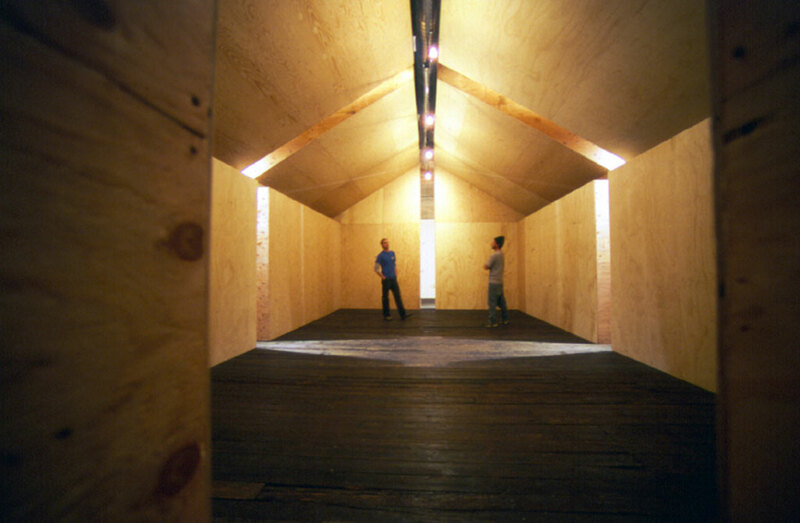 The interior is intended to imply the living space and social interaction of a basic single family home, referencing the manufactured house, urban sprawl, and the homogenization of culture as it metaphorically examined the physical and less tangible aspects of what makes a home.